Mix 100 gr of mayonnaise with the 1⁄2 dl of soy sauce and set aside. Plate a large dollop of the soy mayonnaise and place the sections of the asparagus next to it. 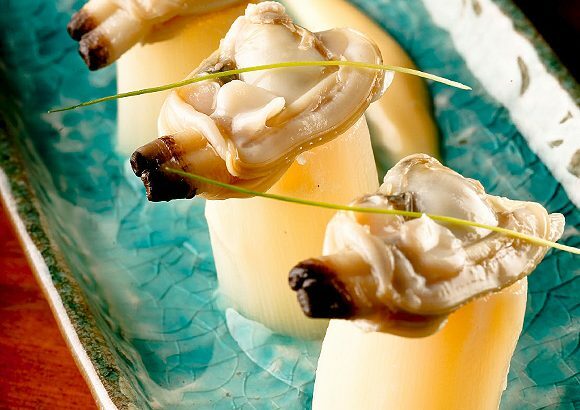 Place a clam over each of the stem sections and serve.